The combined influences of the basic astrological elements make up the personality profile of each sign of the zodiac. Once you understand the energies that these specific elements represent, you can get a clear view into the basic characteristics of the individual signs. Feminine - receptive, magnetic, cyclic, contemplative. Masculine - assertive, electric, linear, direct. Cardinal - represents the cardinal points East, West, North, South and the beginning of the seasons. Pos. 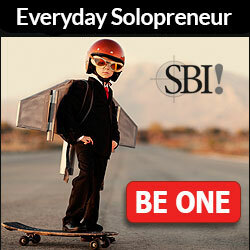 - Active, explosive, initiative, independent. Neg. - Impatient and domineering. Fixed - represents mid-seasons. Pos. - Stable, durable, lasting, determined. Neg. - Stubborn and tunnel vision. Mutable - represents the end of the seasons. Pos. - Changeable, adaptable, fluid, versatile. Neg. - Calculating and inconsistent. Fire - Spirit, spontaneous, dynamic, exciting, active, expressive, attractive. Neg. - overly forceful and arrogant. Earth - Physical, reliable, functional, conservative, practical, sensual, relating to physical needs. Neg. - Materialistic and stubborn. Air - Intellect, communicative, open-minded, logical, sociable, lighthearted. Neg. - Aloof and unreliable. Water - Emotions, sensitive, protective, intuitive, deeply feeling, receptive. Neg. - Moody and wishy-washy. Knowing the order of the signs helps to quickly identify their energetic qualities. Aries is the first sign of the zodiac. It is masculine, cardinal and of the fire element. From this vantage point, masculine and feminine energies alternate throughout the succession of signs so that every other sign is masculine or feminine. These energies do not refer to gender, but to qualities. The Qualities of cardinal, fixed and mutable are assigned in order so that every forth sign begins the rotation again. Aries - cardinal; Taurus - fixed; Gemini - mutable; Cancer - cardinal, etc. 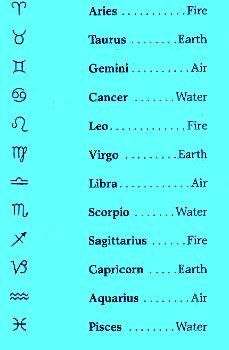 The astrological elements of fire, earth, air and water follow the same rotation, so that every fifth sign begins a new series. The astrological year is the solar year which begins at the vernal/spring equinox. These dates are considered to be when the sun is in these constellations. They are called the solar months. These dates vary slightly through time because the zodiacal wheel is 360 degrees, and the solar year is approximately 365 days. Your "sun sign" is determined by your birth date. If you are born within seven days of another sign, you are said to be on the cusp. The cusp born take on the astrological elements of both signs with the approaching sign having the strongest influence. To get an exact determination of your birth sign, you can get a natal chart done by a qualified astrologer, or, you can learn how to do it yourself. Often you can figure it out by the qualities of a sign. The astrological signs of the zodiac are each a unique blend of energetic qualities which outline twelve distinct personality profiles. This is a mere glimpse at the complexities of an individual person. There are many other influences astrologically, numerically, genetically, environmentally, culturally, spiritually, etc. that add to our experience of being. Knowing our strengths and weaknesses can go far in helping us to navigate our lives, the choices we make, the directions we take, the relationships we involve ourselves in and the goals we pursue. The energetic influences that we are born into and that we carry through life can be mapped out through astrology and numerology. These tools act as a guiding map that can reveal our spirit's goals for us, our blueprint. Understanding the astrological elements gives us a window into our own fundamental nature and the nature of others.